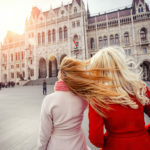 Europe offers a cultural holiday experience like few other places in the world, especially in winter. Cafes and Christmas markets fill up with people celebrating the festive season with traditional music and you see locals flocking to museums, art galleries and theaters with special festive programmes on offer. 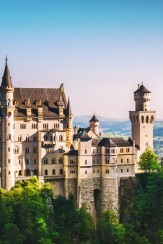 If you’re one of the lucky few heading out to Europe this winter, make good use of the occasion to get to know the rich culture by combining your trip with a visit to the local theater for a ballet or opera performance, or even if it’s just to see the breathtaking architecture and interiors. The Wiener Staatsopper was built in 1869 and inaugurated with an illustrious performance of Mozart’s Don Juan with Emperor Franz Joseph and Empress Elisabeth in attendance. 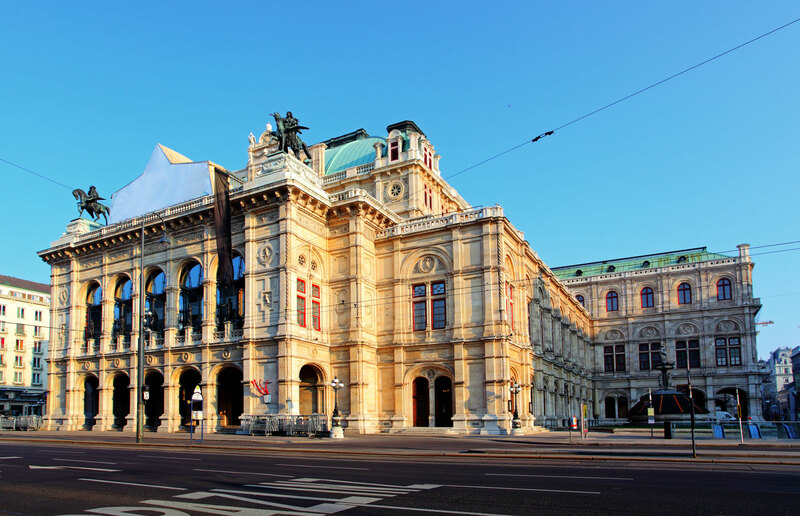 It is firmly established as the centre of Viennese musical culture and remains one of the most renowned opera houses worldwide to this day. A large portion of the structure was destroyed during an allied bombing of the city towards the end of WWII, but the grand staircase survived and the theatre as it stands today reopened after the end of the Russian occupation of Austria with a performance of Beethoven’s Fidelio (a freedom hymn). Today, visitors are treated to a comprehensive programme of classical musical- and dance performances by local and visiting singers, conductors, orchestras and choirs. Wiener Staatsopper (Vienna State Opera), Austria. Opened in 1889 as a more accessible counterpart to the Burgtheater, which at the time was mainly frequented by aristocrats and nobility, the Volkstheater seats 970 guests (a big number for a 19th-century structure) and is said to be one of the largest of its kind throughout the world’s German-speaking countries. From the start, the focus was on promoting the work of Austrian authors and today the theatre’s extensive repertoire includes a comprehensive range of Austrian and German classics that have received international acclaim. The venue also houses the Rote Bar (Red Bar) on the upper floor, a more informal destination where visitors can enjoy ambient music, club events, readings and contemporary exhibitions. As the oldest and most established English-language theater throughout continental Europe, Vienna’s English Theatre in Josefsgasse offers visitors a great year-round selection of classic English and American productions that include thrillers, comedies, farces and contemporary works. At its inception, it was only ever meant to be a seasonal offering to appeal to the city’s English-speaking tourists, but it became so popular with local theatergoers due to its innovative lineup of shows and theatre personalities that it became a much-loved permanent fixture that is rightfully considered one of the city’s foremost cultural venues. Top tip! If you’re into the intricacies of theatre history, make sure you don’t miss the Austrian Theatre Museum. This marvellous cultural destination is situated in the beautiful baroque Lobkowitz Palace near the Imperial Palace and features a tangible history of the performing arts in the form of 1000+ stage models, 600+ props and costumes that span three centuries, as well as countless drawings, prints and photographs that pay tribute to this singular art form. 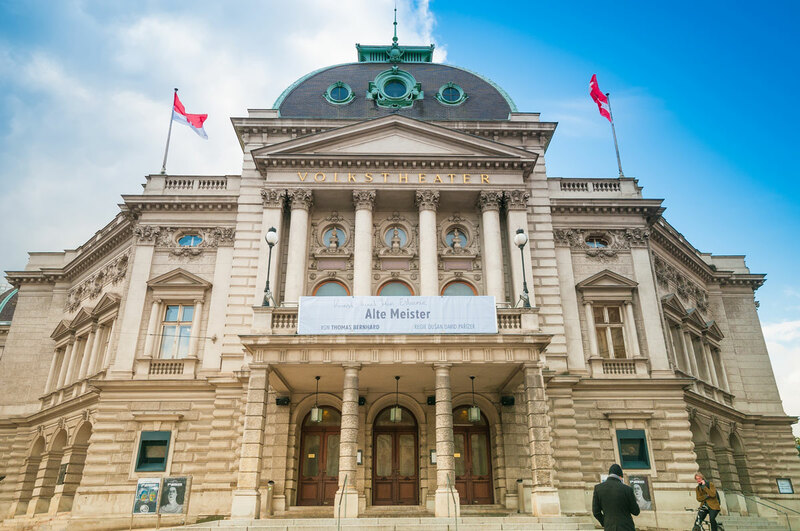 The museum is the permanent result of what was once the Theater Collection of the Austrian National Library and also has a children’s department devoted to introducing youngsters to the performing arts in a fun and educational way. Don’t miss the wonderful art nouveau stick puppets by Richard Teschner and the Figurenspiegel (a concave mirror that creates entrancing light effects). 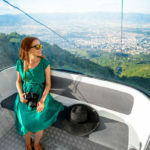 RELATED: Travel to Vienna on board the Europe Jewel Tour! 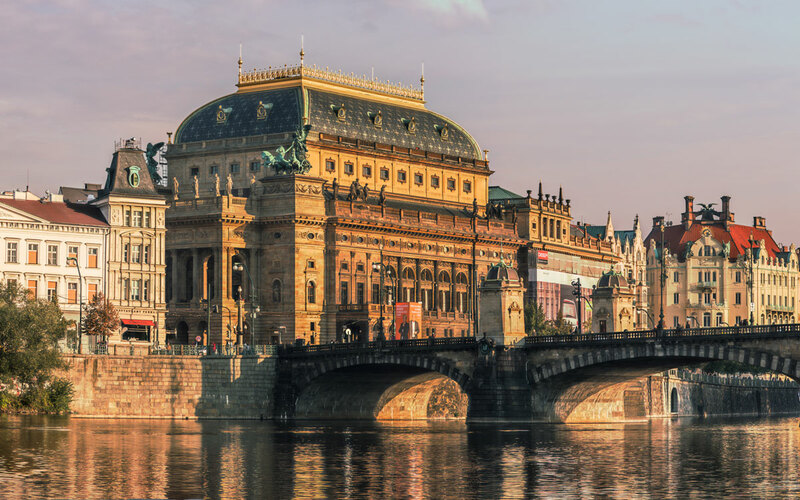 Affectionately known as the ‘Golden Chapel’, the National Theatre in Prague is a wonderful example of how a nation can pull together to support the arts – when the original building burned down in 1881, the entire nation contributed to rebuilding it to its current Neo-Renaissance glory. 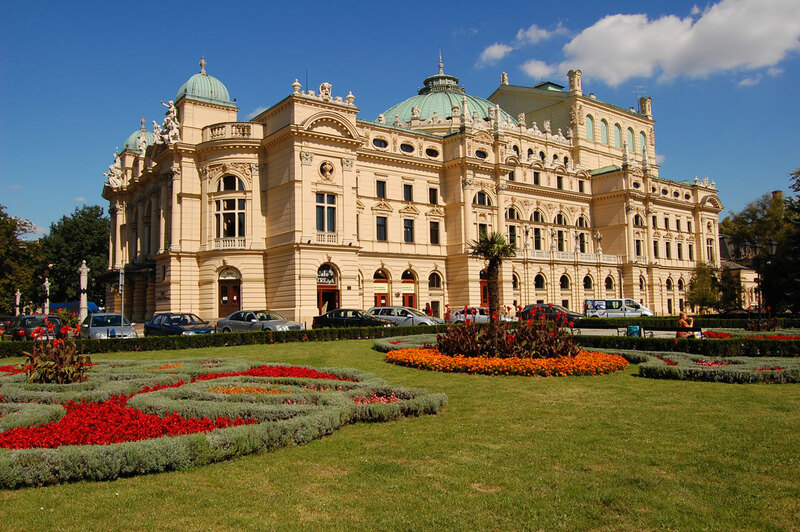 The theatre showcases a wonderful variety of ballets, plays and operas (both Czech and international) and visitors can peruse the structure and its many marvels as part of organised tours over weekends. The National Theatre in Prague, Czech Republic. Top tip! Up for something a little more avant-garde? Visit a black light theatre show for a dreamlike experience of hovering actors, light play and exceptional special effects. These spectacles can be enjoyed at theatres like the Divadlo Metro, All Colours Theatre and Srnec Theatre. Originally known as the Municipal Theatre when it was erected in 1893, the Juliusz Słowaki Theatre was named in honour of a prolific Polish poet and playwright in 1909 and continues to play a pivotal role in the cultural landscape of Kraków. The theatre, which is well-known for its beautiful facade (designed by Jan Zawiejski) and interior frescoes by Viennese artist Anton Tuch, is considered to be a beacon of European theatre architecture and seen as the birthplace of modern Polish theatre direction, acting and design. It is here that the first plays based on Polish Romantic literature (including Forefather’s Eve and Un-Divine Comedy) were staged at the turn of the 19th century; today the Juliusz Słowacki Theatre features cutting-edge, contemporary pieces, as well as classic Polish and European plays. The venue is also home to the Kraków Poetry Salon and open-air Scena przy Pompie (Stage by the Pump), which is open during summertime. The Slowackiego Theatre in Krakow, Poland. Officially known as the Helena Modrzejewska National Stary Theater, the Stary Theater in Krakow carries the name of a renowned 19th-century actress that was best-known for her brilliant Shakespearean performances throughout Europe and America. What started out as a small, local theatre initiative in the 1700s, blossomed into a beacon of theatrical development under the tutelage of innovative directors like Hilary Meciszewski and Stanisław Koźmian during the 1800s, and only grew in repute after WWII. It is here that the Krakow school of acting, an ensemble approach to theatre, was developed and spread to other Polish stages, as the Stary become known for its compelling repertoire of classical and contemporary pieces and shaping the talents of notable artists like Tadeusz Kantor and Andrzej Wajda. Today the theatre remains an important incubator of the performing arts that stages reinterpretations of classic pieces, contemporary texts, innovative multimedia projects, as well as exhibitions and installations. 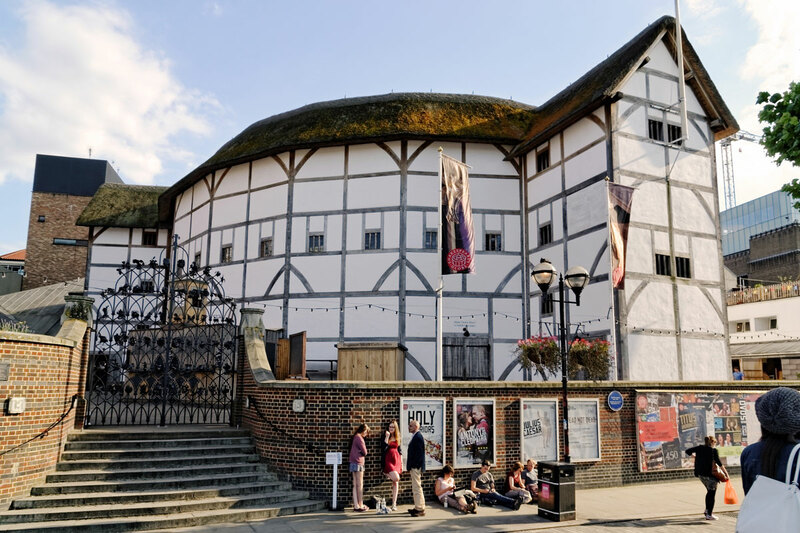 Officially known as Shakespeare’s Globe, the Globe Theatre is a must-visit for avid fans of The Bard. Almost entirely dedicated to stagings of Shakespeare’s work, this well-known performing arts venue seeks to further the international understanding and experience of this prolific writer’s oeuvre. The original theater was erected in 1588 by the Lord Chamberlain’s Men but burned to the ground in 1613. The modern reconstruction of the three-story, open-air amphitheater is now located a scant 230m from the original location and welcomes visitors from around the world who come to enjoy plays, partake in workshops and sit in on lectures and staged readings. 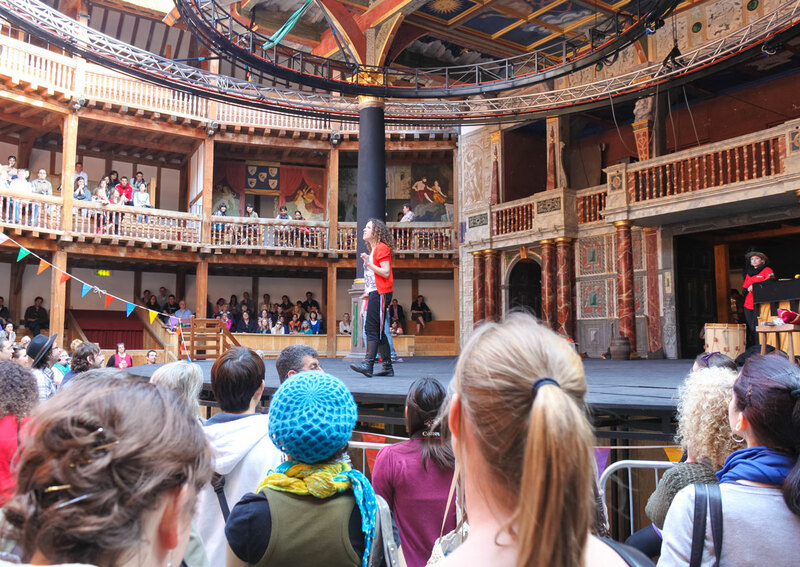 The recent addition of the Sam Wanamaker Playhouse now also provides scope for the production of works written for indoor playhouses, which means there is a well-attended theatrical program year-round. Inside of the Globe Theater, London. The National Theatre is located on the South Bank of the River Thames and renowned for staging some of the best performing arts throughout London. The National is home to the Olivier, Cottesloe and Lyttelton theatres, as well as a superb selection of eateries and watering holes, art exhibitions and a book shop – in short, it offers a cultural immersion experience bar none. Visitors can look forward to a wide variety of shows that include classical dramas, as well as brand new plays by some of the country’s most innovative playwrights. Additionally, the National Theatre now has a live-broadcasting agreement with 1000+ venues in 35 countries (including select cinemas in London itself), so theatre lovers can enjoy their shows from further afield. 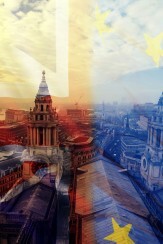 RELATED: Think about joining the Great Britain Christmas Tour that start and finish in London. If it is dinner and a show you’re after, the Paradis Latin is just the ticket. This contemporary cabaret venue is the successor of the original Latin theatre that was commissioned by none other than Napoleon Bonaparte in the 1800s. Like so many structures of the time, it burned down and was later rebuilt by Gustave Eiffel in time for the World Fair in 1889. Today the Paradis Latin still showcases the very best in cabaret, in combination with some stunning acrobatics and trapeze acts in daring outfits – a great option for fun-loving theatregoers. 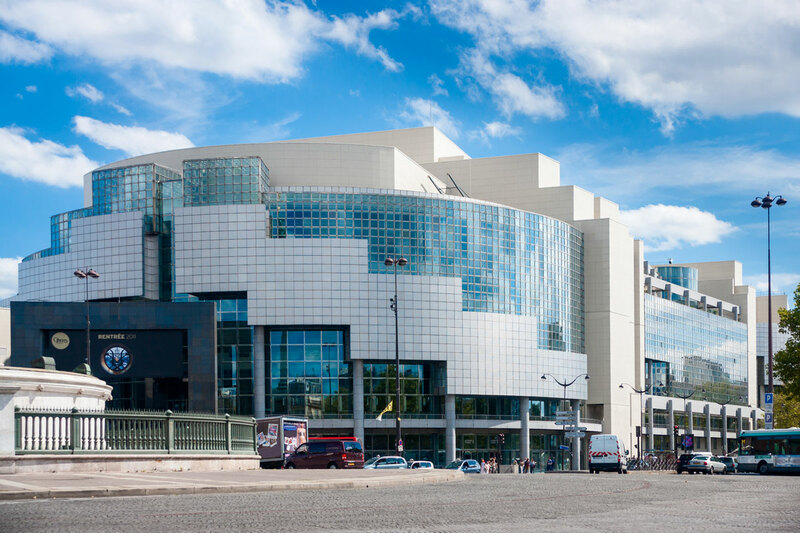 The Opéra Bastille is a modern opera house in Paris that was inaugurated in 1989 and has since become the main facility (alongside sister theatre Palais Garnier) to house the Paris National Opera – the country’s foremost operatic company. 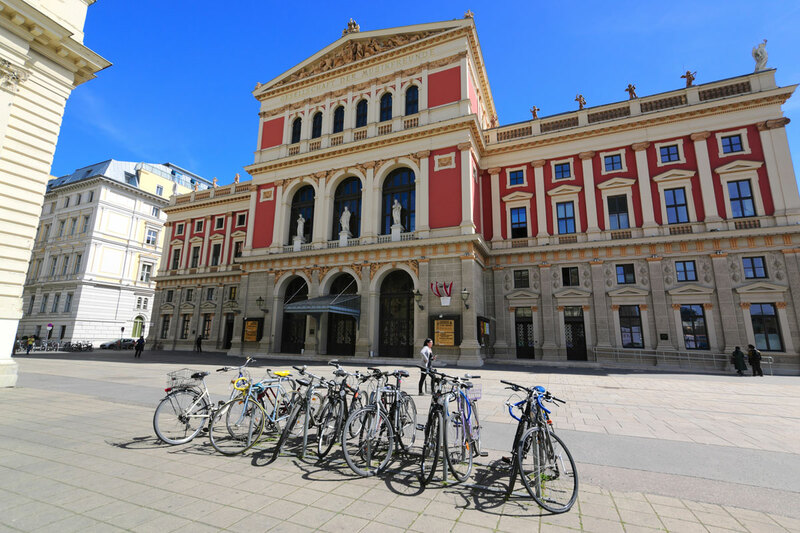 The theatre is renowned for its classic lineup of opera, ballet and symphony performances. The architecture of the building, in and of itself, is also something marvellous to behold – it boasts a transparent facade that serves to merge the interior and exterior of the singular structure that was designed by renowned Canadian architect Carlos Ott, who won the privilege in a competition between 1700 architects from around the globe. Theatre in Paris offers an authentic Parisian night out for English-speaking visitors thanks to their unique *surtitling approach. This decidedly modern theatre features a variety of shows that include classics like Oliver Twist, musical theatre, and contemporary comedy that offers a glimpse into the everyday life of the French. Fun Fact! Are you concerned that the language barrier would keep you from enjoying French theatre? Fear not – the French have embraced the notion of surtitling, the practice of displaying English subtitles above the stage in real time. Shows that offer surtitling have special seats from where English guests can view the subtitles clearly and also provide English programmes. 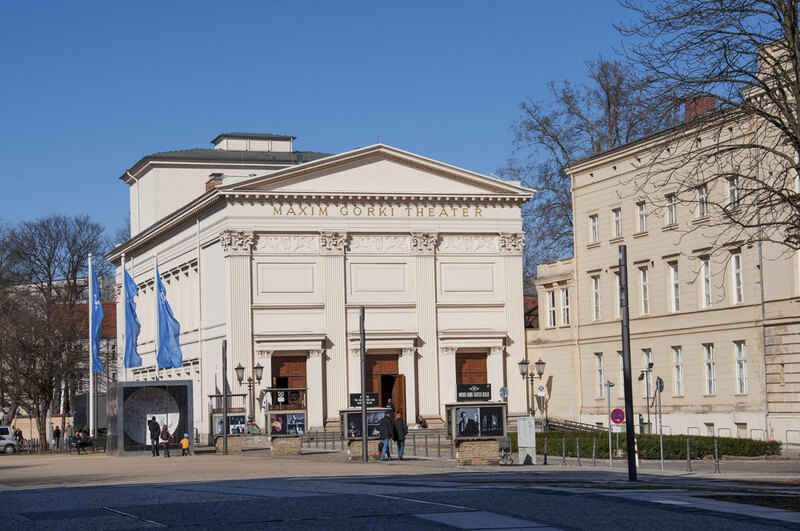 The Maxim Gorki Theatre is known as one of the most intimate and aesthetically beautiful of Berlin’s ensemble theatres. Located in the Choral Academy on the boulevard Unter den Linden, this historically significant theatre was founded in 1952 as a showcase for contemporary productions and became a critical cultural beacon for the citizens in East Berlin throughout the region’s political turmoil, and remains a vocal proponent of cultural revolution to this day. Visitors can look forward to stage productions that address upheaval and transition by means of both classic and contemporary plays. The Maxim Gorki Theatre in Berlin, Germany. The Amsterdam Music Theatre is a marvellous cultural destination that houses both the Dutch National Ballet and the Dutch National Opera, as well as being the city hall of Amsterdam. The theatre officially opened its doors in 1986 (although the first plans were already drafted in 1955!) and features a wonderful cultural programme with concerts by artists and companies from around the globe. The Dutch National Opera takes a fresh approach to classics and offers an innovative, reimagined repertoire as well as brand new pieces; while the Dutch National Ballet showcases the inimitable talents of its world-class dancers by means of a wide variety of contemporary pieces. Amsterdam Music Theatre, home to the Dutch National Ballet and the Dutch National Opera. 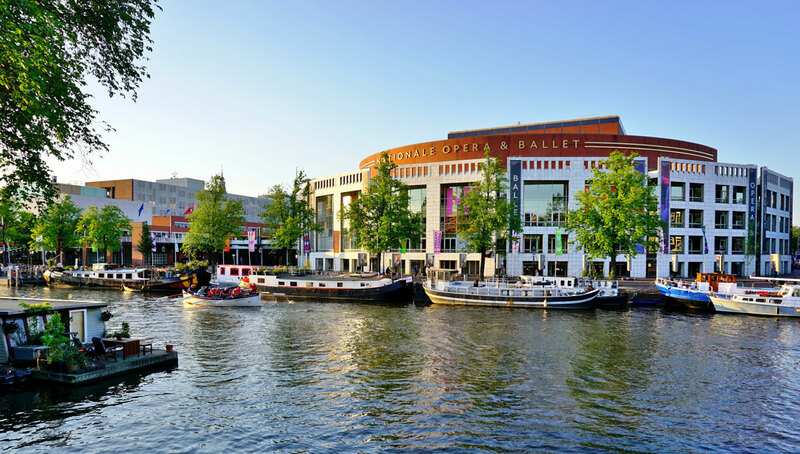 The Royal Theatre Carré, known in Dutch as the Koninklijk Theater Carré, is located on the river Amstel in Amsterdam. This lovely Neo-Renaissance building was actually founded in 1887 as a winter refuge for the local circus, but eventually developed into a showcase for musicals, cabarets and pop performances. It’s vibrant history as a vaudeville and revue destination can still be seen in its innovative lineup, which features the very best in theatre, music, ballet and, yes, a bit of a circus act every now and again. Dating back to 1788, De Kleine Komedie is officially the oldest theatre in Amsterdam. This 503-seater offers a wide variety of contemporary works that span the gamut from opera and flamenco dance to acapella performances, theatre of the absurd, stand-up comedy, conceptual performance art, musical theatre, family-friendly acts and more. 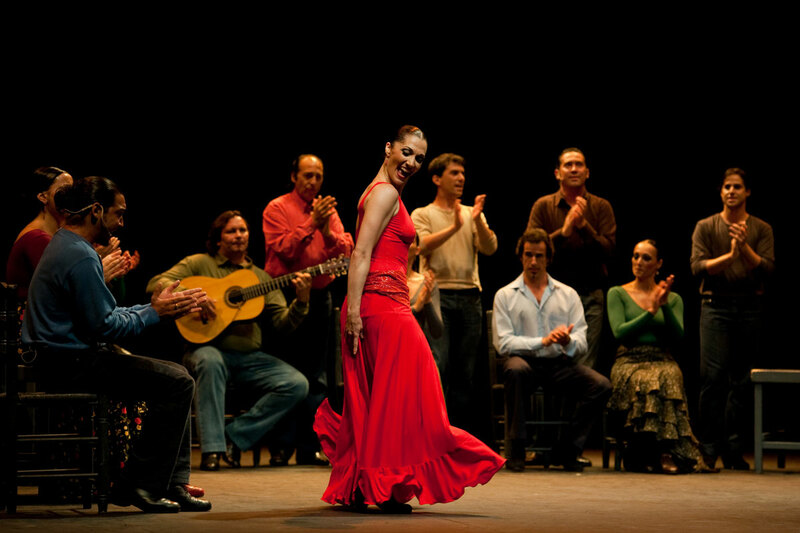 Corral de la Moreria is a world-renowned tablao flamenco destination that has received recognition from the Michelin Guide, NY Times (1000 Places to See Before you Die), as well as receiving awards from the Madrid Tourism board and further afield. In short – it is an absolute must-see for fun-loving flamenco fans who want to experience dinner and a show in the nation’s vibrant capital. Situated close to the Royal Palace at the very heart of Madrid, the Corral de la Moreria has been entertaining locals and visitors alike since 1956 and offers 70-minute long shows each night, alongside a choice of a full dinner menu or delicious tapas meals. Founded in 1904 by W.B. Yeats and Lady Gregory as Ireland’s national theatre in an attempt to bring the rich emotions of Irish art to the stage, the Abbey Theatre retains a pivotal role in the emerald isle’s performing arts to this day. Today the theatre produces a wonderful annual programme that features both national and international pieces across multiple genres. Theatregoers can look forward to a rich variety of contemporary and classic pieces that showcases Ireland’s brightest talents on the stage and behind the curtains. The Civic Theatre opened its doors in 1999 and offers two performance spaces (the Main Auditorium and the Loose End Studio), that seats a combined group of 350+ patrons. There is also an on-site bistro that serves breakfast, lunch and pre-show dinners, and a riveting art selection that can be perused in two foyer spaces. Visitors can look forward to a wide array of performing arts, including theatre, music, dance, opera and comedy. Dublin’s Gaiety Theatre offers has been hosting opera, drama, revues, dance, comedy, musicals and more for 140+ years, and boasts longstanding associations with the likes of Maureen Potter, Niall Toibin, Des Keogh and other famous Irish thespians. Ever since it opened its doors in 1871 with a double bill of ‘She Stoops to Conquer’ and ‘La Belle Sauvage’, the Gaiety Theatre has remained a cultural landmark that drew international stars and offers a great selection of shows – including classics and contemporary musicals, dramas, comedies and more. 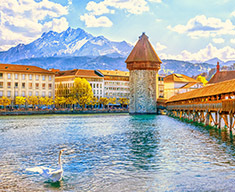 If you’re up to ditch the summer weather for a good dose of arts and culture in the home countries if Bach, Beethoven and Tchaikovsky, have a look at our delicious offering of winter and Christmas tours. It’s time to drink up all the winter magic of Europe! 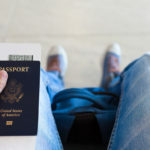 How will Brexit affect your travel plans? 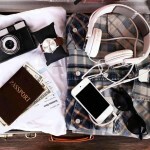 We’ll deliver top travel tips, insider info and travel inspiration right to your inbox.